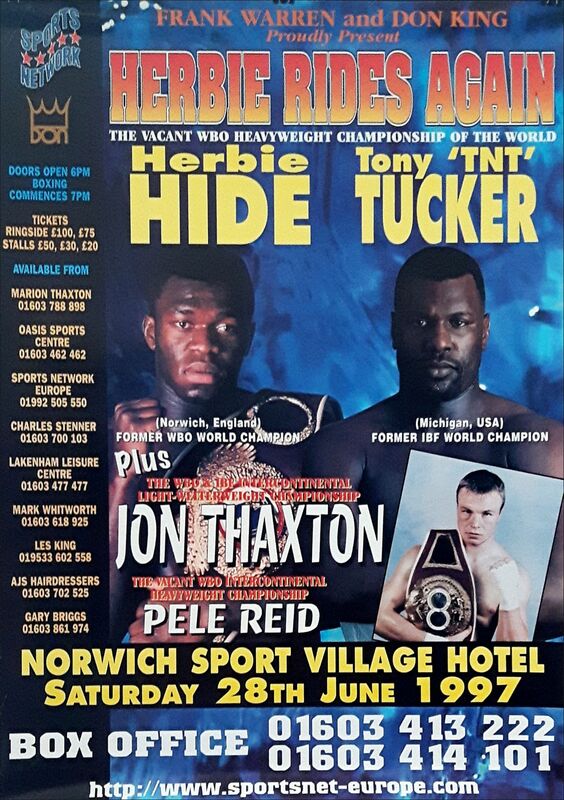 Description : Here we have the official Frank Warren & Don King promotions onsite boxing fight poster produced for the WBO World Heavyweight Championship Title bout held at Sports Village, Norwich, Norfolk, England/United Kingdom. 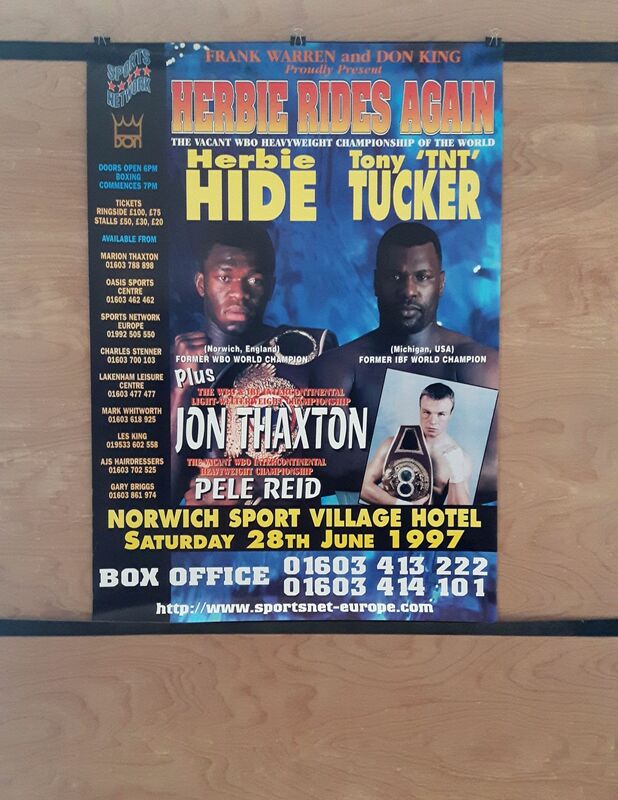 28th June 1997. 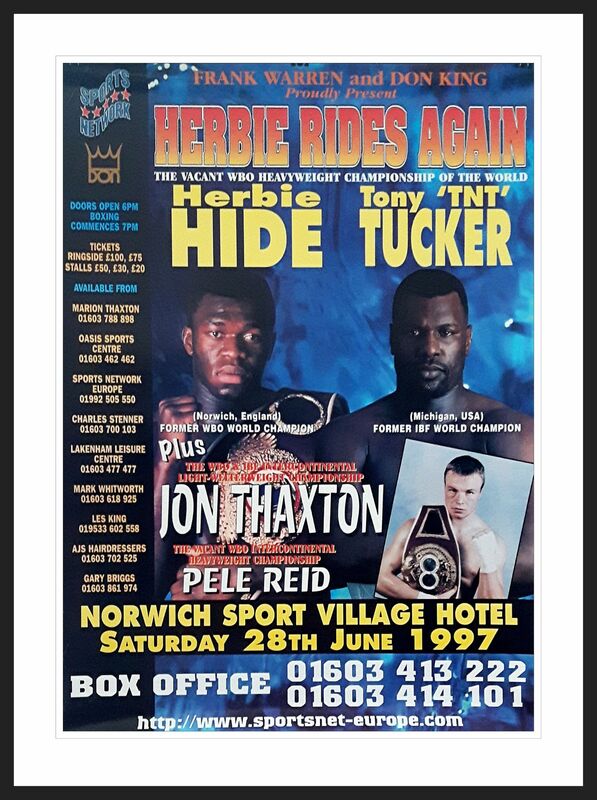 Former WBO belt holder Herbie Hide regained the vacant WBO heavyweight bauble relinquished by Riddick Bowe when he stopped former IBF title holder Tony TNT Tucker by 2 round TKO having dropped Tucker 3 times in that round.